Keep Track with Block Rotation Tracker! FREE DOWNLOAD! When you teach music it is rare to see everyone everyday. Most of us are on some sort of rotation that accommodates the size of the grade level we are teaching and the instructional minutes we are given. I have found that one of the challenges I face each year is keeping track of the accomplishments of each day. 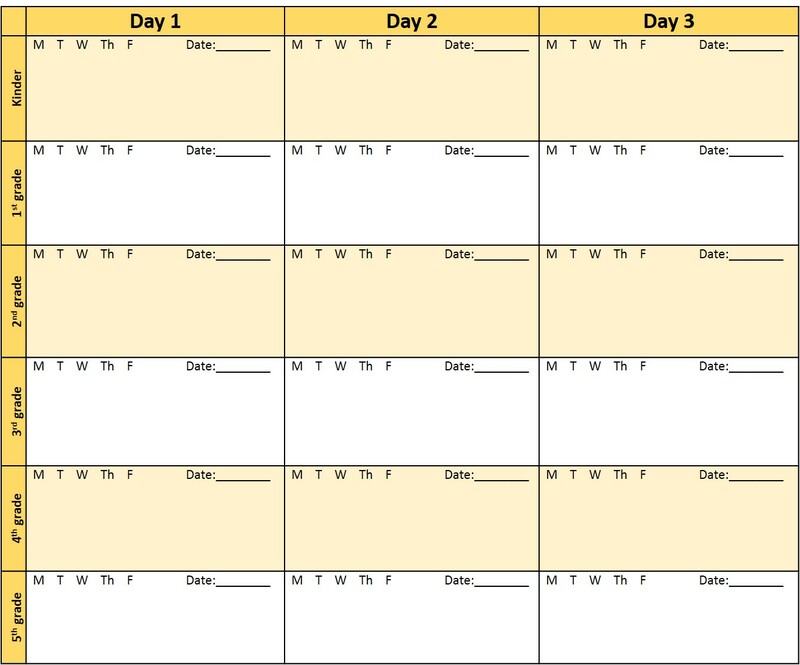 If I don’t keep track of what each class gets done each day then I have no hope of differentiating their lessons to meet where they actually are and I run the risk of missing important things. For 10 years I taught in a 3 day rotation, then I moved to a 4 day rotation and now I’m teaching in a 6 day rotation. I bet that these charts will meet everyone’s needs. Here is the chart that I plan on using this year! Is it possible to get a 5 day rotation? I can make it myself if it's too much, but I figured I'd ask! Sure! I'll have it up in a little while – check back tomorrow? 5 day rotation is up and ready! This is great! I'm lucky in that I always see the same children on each day of the week. Smith is always Monday, Brown is always Tuesday, etc. Still, keeping everyone together is impossible. Great work!